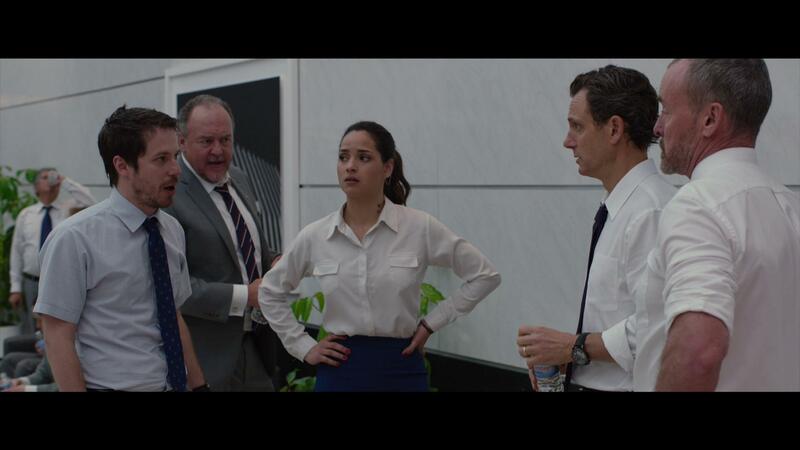 The Belko Experiment - Blu-ray Review - ReDVDit! The Belko Experiment is a 2016 American horror film that was directed by Greg McLean and was written by James Gunn. Featuring stars like John Gallagher Jr., Tony Goldwyn, Adria Arjona, and Melonie Diaz. 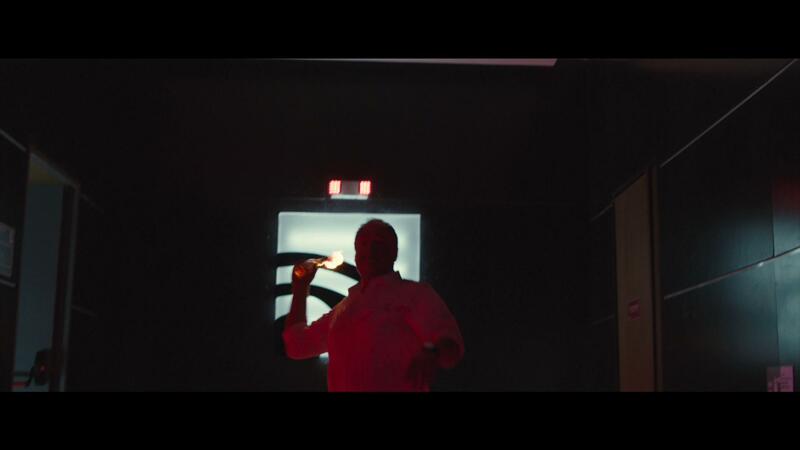 The film starts off as Mike Milch, an employee of Belko Industries noticing some oddities upon arriving to his remote office location in Colombia. Things that initially made him feel that something was right as the newly-hired security guards are turning away the local Colombian staff. Nobody really knows who these local security guards are, nor why the Colombian staff members have been prevented from entering the building. All of a sudden, a voice commands from the intercom, telling everyone that at least two employees must be killed or more will be killed; thus starting a huge kill or be killed chain of events. Gunn started writing this film after waking up from a dream of being in an office building that was enclosed by metal walls and hearing a voice that instructed employees to kill each other. Principal photography began on June 1, 2015 in Bogota, Colombia. Receiving mixed reviews from film critics, the film ended up grossing $10 million worldwide against its $5 million operating budget. 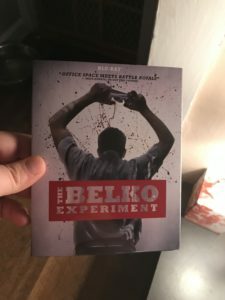 The Belko Experiment is exactly what it says based on the quote from Matt Donato of We Got This Covered that’s featured on the front of this release. This film is “Office Space Meets Battle Royale”. There are some considerably gruesome scenes that played out that I didn’t expect to see. As advertised, we are given a film that’s full of on-the-edge of your seat suspense, it was pretty difficult to tell how things were going to play out. 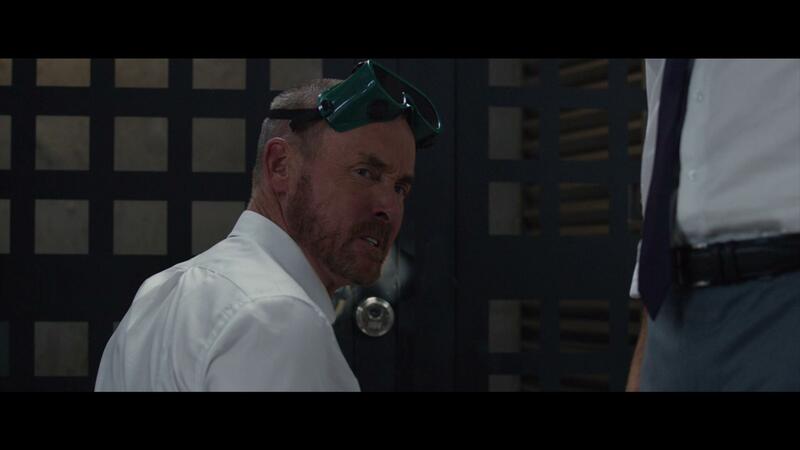 There were some comedic aspects to the film, but nothing too notable and a lot less than I expected considering the appearance of John C. McGinley. 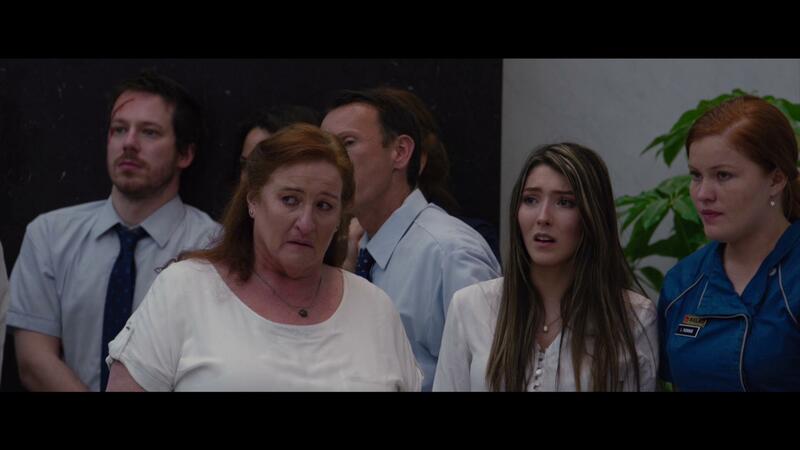 The overall visual presentation that accommodated The Belko Experiment wasn’t all that bad. Providing us a picture perfect representation of a high-level office environment and the subtle drama that is included while talking among your peers. The overall picture was pretty solid in that I was able to see and understand the film as it progressed. I only had one complaint with the visualization and that was during the darker scenes. During those scenes, I found it a little difficult to see what they were trying to show us without added focus or moving closer to the screen. I was really surprised to see that The Belko Experiment didn’t come packaged with a 7.1 audio track. Instead, this Blu-ray comes packaged with a DTS-HD Master Audio 5.1 track. The track does a good job at making use of the multiple angles allowing for an immersive experience into what’s going on. Audio was nice and clean with a few exceptions during the quieter dialogue sequences. I would’ve loved to have seen a 7.1 track or an Atmos track in this release as it would’ve provided that much more of an immersive experience for those who have the technology to go along with it. The Belko Experiment comes packaged in your typical single-disc Blu-ray amaray case. Contained within its case is the standard Blu-ray copy of the film. There is no DVD copy of the film, nor is there a digital copy redemption pamphlet. The disc does include artwork that is relative to the film and differs from that of the case art. There is also a slipcover that’s been made available during the initial pressing of the film. As you can see, The Belko Experiment wasn’t all that bad. But, it wasn’t all that great either. The film does a solid job at telling us its story; a story that’s loaded to the brim full of suspense and quick thinking. I know, as someone who works in an office environment, wouldn’t be able to do any of the things that these people were forced to do. The visual presentation wasn’t that bad. I mean, it is 1080p, but it definitely struggled a little bit during the darker sequences. The audio wasn’t that bad; but definitely could have been better. This release is pretty sparse in terms of packaging as you only get the Blu-ray copy of the film and nothing else. It should have at least included a digital copy. If you’re considering picking this film up, I would hold off until it goes on sale for $10.00 or less as I don’t think it’s going to take too terribly long.